Marion Excavating takes on a comprehensive range of excavating and related jobs, both large and small, for commercial, municipal, federal and residential customers and businesses. 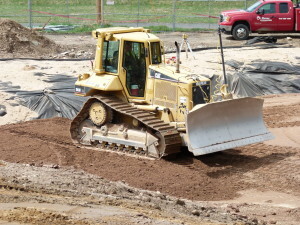 Marion Excavating has been serving Western Massachusetts, Northern Connecticut and neighboring areas safely, reliably, on schedule and on budget for over forty years. Marion Excavating has a large fleet of state-of-the-art equipment and a professional staff of experienced operators, drivers and laborers – ensuring top notch project execution and emergency readiness. Marion Excavating offers free estimates based on thorough and accurate project evaluations. Providing superior workmanship at competitive rates, Marion Excavating is a regional leader in site development, road construction, utility services, paving, wetland replication, asphalt removal and replacement and storm water management, among other services. Our professional staff of experienced operators and laborers, extensive fleet of state-of-the-art equipment with the latest GPS technology and onsite Recycling & Materials Facility ensure optimal performance, timely emergency response and 100% adherence to schedule deadlines. Experienced with LEED® compliant and environmentally sensitive projects, Marion Excavating is the local partner of choice for commercial and federal contractors across the U.S.